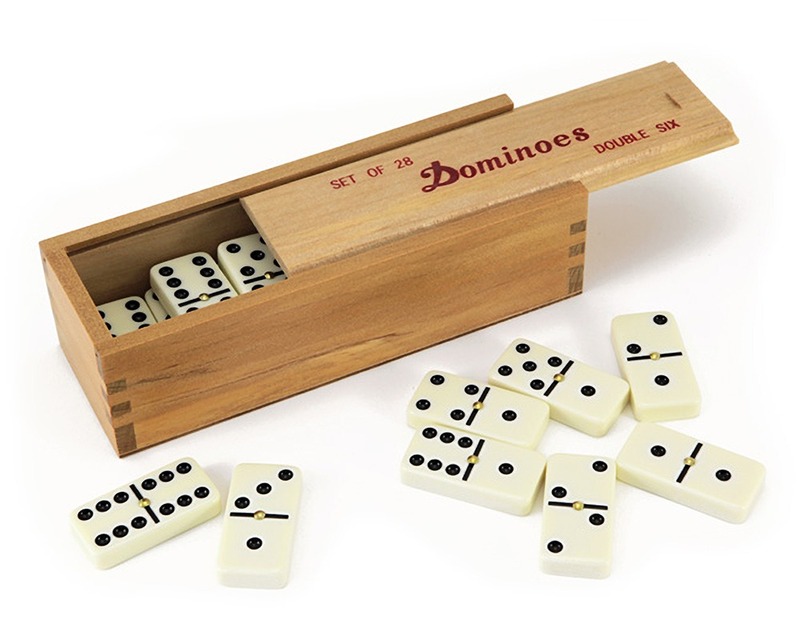 Traditional set of dominoes up to six spots in a traditional wooden case with a sliding lid. Well made and chunky with nice rounded edges and smoothed corners. Clearly tough and hard-wearing. The box is also durable. Slightly larger than the sets I remember from childhood but very playable.